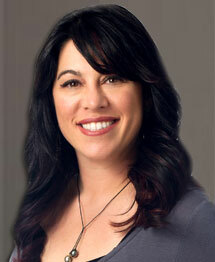 Celia Klein is proud to be part of the highly-focused Truckee Luxury Property Team. Her number one goal is customer satisfaction and she looks forward to the opportunity to earn your business. Celia’s many years in hospitality has prepared her well to deliver the high quality customer service that one would come to expect. She understands that buying or selling a home can be a time consuming and emotional experience, her goal is to provide a positive, easy, and seamless process for all of her clients. It is more important than ever to have a real estate professional by your side who understands the ins and outs of each unique and vibrant community within a local real estate market. In addition to her extensive knowledge of the Truckee area communities, Celia has lived and worked in multiple Lake Tahoe communities, including Kings Beach, Carnelian Bay, Tahoe Vista, Tahoe City, Lake Tahoe West shore and Alpine Meadows. This knowledge and first-hand experience allows her to quickly narrow and focus your search. Prior to becoming a licensed Real Estate agent, Celia was Operations Manager at Tonopalo Private Residence Club on the North Shore of Lake Tahoe. During her tenure at Tono palo, she learned a great deal about the luxury real estate market, and also honed the customer service skills she acquired in her lifetime of working in the hospitality and tourism industries. Celia first fell in love with the Tahoe-Truckee area at five years old when her parents first started taking her to Alpine Meadows to ski. She moved to the Lake Tahoe area in 1997, and purchased her home, with her husband Justin, in 2007. They are parents to sons Holden and Sawyer and enjoy everything about living the Tahoe Truckee life style. Celia is well equipped to serve the needs of her clients, and she truly cares about the client experience. Her optimism and enthusiasm are contagious, and we are happy to have Celia as part of the team.